My best gun anime ever! Hello everyone! It’s nice to be writing again and this time around, my blog is about my favorite gun anime. In this article, I will be sharing about gun anime that made the top list for my favorite shoot them up anime. What do I mean by gun anime? Well there are a lot of anime out there with gun themes in them and they fit the criteria for this blog but emphasis was put more on anime that rotates around guns and their constant use throughout the storyline. However, quite a number would make this list for gun anime but I chose the ones that picked my interest. Now, I present my top gun anime list. Enjoy the ride! The story follows a team of pirate mercenaries known as Lagoon Company, which smuggles goods in and around the seas of Southeast Asia in the early to mid-1990s. Their base of operations is located in the fictional harbor city of Roanapur in southeast Thailand. The island is home to the Yakuza, the Triad, Cuban and French cartels, and a wide assortment of pickpockets, thugs, mercenaries, thieves, prostitutes, assassins, and Gunmen of all sorts. The team takes on a variety of missions—which may involve violent firefights, hand-to-hand combat, and nautical battles—in various Southeast Asian locations, even going as far as Phu Quoc island of Vietnam and when not doing much, the members of the Lagoon Company spend much of their down time at The Yellow Flag, a bar in Roanapur which is often destroyed in firefights. 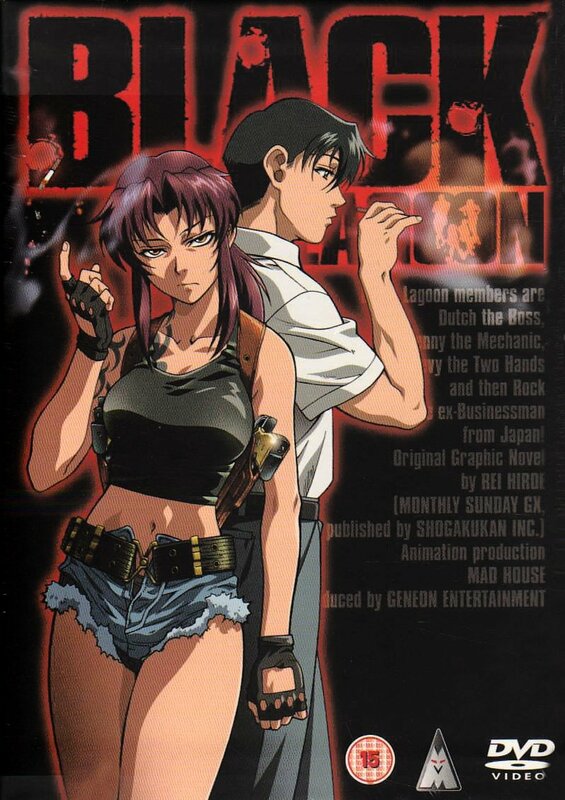 Not only is Black Lagoon fun to watch, it offers an exciting tale filled with gun battles and good characterization with some pretty interesting characters introduced in the story as it goes on. It’s definitely a must watch for gun anime lovers. The series follows Koko Hekmatyar, a young arms dealer who sells weapons under HCLI, an international shipping corporation and illegal smuggling operation. As one of the company’s unofficial weapon dealers, she sells weapons in a variety of countries while avoiding both local and international authorities. Traveling with her is a team of bodyguards, mostly composed of former soldiers. Her latest addition to her crew is Jonah, an inexpressive and deadly child soldier who hates arms dealers. This anime does not only offer a crazy and action filled story but what intrigued me the most were the character developments which presented an interesting view. For example Koko the young arms dealer who is crazy and hell bent on bringing a new world order. From the same team that brought Black Lagoon, Jormungand is worth your time and it is definitely a good gun anime. The first half of the series alternates between the two leads. Madlax is one of the most efficient special ops agents for hire in the war-torn Gazth-Sonika, while Margaret Burton is a sleepy, clumsy amnesiac living in Nafrece, a country styled after France. When a “picture book”, presumably given to Margaret by her late father, attracts the attention of international criminal network Enfant, she discovers that the origins of the book lie in Gazth-Sonika. Enfant’s top operative, Carrossea Doon, tracks Margaret down but tips off his superiors in the wrong direction, towards Madlax, who has been causing Enfant trouble for some time. Talk of a story so deep it almost left me confused half way through. That’s not a bad thing actually; Madlax presents a compelling and well-built story the goes deeper with each episode. Not forgetting the gun battle battles, a war torn country with a dark past, Madlax was very enjoyable gun anime. Set in Italy, Gunslinger Girl follows the exploits of the Social Welfare Agency (often referred to as simply “the Agency”), ostensibly a charitable institution sponsored by the Italian government. While the Agency professes to aid the rehabilitation of the physically injured, it is actually a military organization specializing in counter-intelligence and counter-terrorism. The agency employs young girls who have experienced traumatic and near-death experiences fitted with cybernetic implants as agents. The implants, which consist of synthesized muscles and carbon fiber frames, result in heightened strength and reflexes as well as high resilience to damage and pain. A very touching, visually impressive and sad story; Gunslinger Girl as a gun anime is what I would describe as a beautiful memento that left me emotionally incapacitated. The tales told in this gun anime by the teenage girls trained as agents is compelling. Apart from that, it also offers some realistic gun battles in and out of the series. Gunslinger Girl is among my favorite of gun animes. Hellsing is named after and centered on the Royal Order of Protestant Knights, originally led by Abraham Van Helsing. The mission of Hellsing is to search for and destroy the undead and other supernatural forces of evil that threaten the queen and the country. This organization is currently led by Sir Integra Fairbrook Wingates Hellsing, who inherited the leadership of Hellsing as a child after the death of her father. She witnessed his death which turned her from a once innocent and shy little girl to a tough and deadly force. She is protected by the faithful Hellsing family butler and former Hellsing “trashman” Walter C. Dornez, a deadly foe in his own right, and Alucard, the original and most powerful vampire that swore loyalty to the Hellsing family after being defeated by Van Helsing one hundred years before the story takes place. These formidable guardians are joined early on in the storyline by former police officer Seras Victoria, whom Alucard turned into a vampire. When you talk about blood and gore, intense boss fights, insane powerful villains adding on a powerful and captivating story. Hellsing is awesome in every right and those that have managed to watch it have a few tales to tell. Guns are must in this anime, from bizarre weapon upgrades to horrific and destructive power. Hellsing is among those good gun anime. Two years after the events of 428: Fūsa Sareta Shibuya de, Maria Ōsawa and Minoru Minorikawa are dispatched as reporters to Shanghai in order to cover the upcoming Shanghai NBCR International Anti-Terrorist Conference. Prior to their current assignment, both Maria and Minoru were survivors of the Shibuya bio-terrorism incident, where Maria was kidnapped by terrorists and was infected by the Ua virus but was cured by her scientist father using an experimental anti-Ua virus vaccine. On her first day in Shanghai, Maria is targeted by masked assassins but saved by a Middle Eastern girl named Canaan, whom she befriended in the Middle East prior to the events of 428: Fūsa Sareta Shibuya de and her Shanghai trip. Canaan is not just about gun battles, but it also gives a good example of todays’ world problems. A viral outbreak initiated by powerful governments’ that nearly wipes out a village and not forgetting the conspiracy feel brought into the anime. Canaan is interesting as more plot twists in mixed into the story. Nevertheless, Canaan is worth being put in the likes of gun anime with its visually beautiful gun battles. One day, a Japanese tourist accidentally witnesses Phantom’s latest murder. Desperate to escape, the tourist hides in a secluded building. However, Phantom, revealed to be a young woman named Ein, and the leader of Inferno “Scythe Master” captures the tourist and brainwashes him. Given the name “Zwei,” this once peaceful tourist is now a puppet of Inferno with no memories. Drawn into a world of lies, deceit, and violence, Zwei must fight to survive, hopefully to one day regain his memories and escape from this world where he is constantly on the brink of death. Phantom as an anime brings forward a world full of violence, betrayal, deceit, and it keeps you glued with every episode. Killing is just a normal aspect of nature since characters have the ability to bring death once they feel threatened and corned. A love story is also portrayed between the main two characters of the story even with their forgotten past; they manage to fall in love with one another during their missions and adventures. Phantom- Requiem of Phantom is an interesting gun anime that mixes drama, action and a fictional story all together to offer an enjoyable anime. With that said, this concludes my thoughts about gun anime and am sure there are quite many others out there I have missed out on but nevertheless, this marks the end to this article. Thanks for reading and I hope to hear your views about that giun-anime that caught your eye. A list of blogers you should check out. Dystopian worlds, insects, and childhood encounters, oh my! Let’s cut to the chase…what do you want? A little over a month ago, a guest cancelled on one of the researchers for the NTV breakfast show. She wasn’t very familiar with people in the arts so she asked me to help. She asked me to call a “famous artiste”. I know only two “famous artistes” with whom I relate on first name basis but I also know a guy who knows a guy, so I called a “famous artiste”. The conversation was more of a “My name is Patricia, I’m calling from NTV. Would you like to perform on our breakfast show? ” conversation. The show happened, it was great, everyone was happy and my contact list was a “famous person who doesn’t remember my name” longer. If he saved my number, it was probably Patricia NTV. This small gritty post covers my interest and my long sealed skill in Illustrations and design along side others. 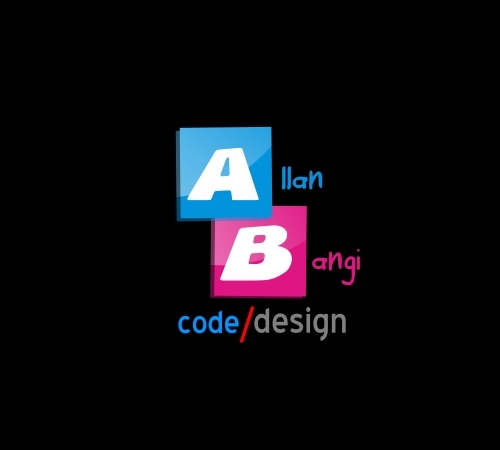 I have been a small fish in the pond for a long time and hadn’t given much time into the art of logo design and illustrations. Today, i get to share a small piece of my own work and i hope to work with other people and at the same develop and design for them their own pieces. In the future i will keep show casing more of my work as time goes by. Your views and thoughts will be appreciated. Well, i haven’t written a blog in a while and with the current ups and downs ranging from unemployment and so on in my country. One would say maybe its the electoral process and campaigns that are sucking up the economy not forgetting the previous leaked military budget close to 100 billion in Ugandan Shillings. Our government does have and always has been known for its neglect and not dealing with the current issues such as the high unemployment levels, health facilities lingering in a poor state and talk about human rights abuse. But this is the world we live in, a broken piece of glass with each shard bringing discomfort and pain here and there. With all that said, yeah i know, its quite little for a blog but i hope to write more in the future.